I have some scorpion rocker arms #1023. Thinking about putting on some Comp 1830 rocker arms. The cam is 750 lift racing engine 514ci. Any thoughts or opinions. Why are you thinking of removing the Scorpions in favor of the Comp Cams rockers? I've never used the Scorpions on any of my builds, but everything I've heard, or read says they're good rockers. pigs521bbf wrote: I have some scorpion rocker arms #1023. Thinking about putting on some Comp 1830 rocker arms. The cam is 750 lift racing engine 514ci. Any thoughts or opinions. 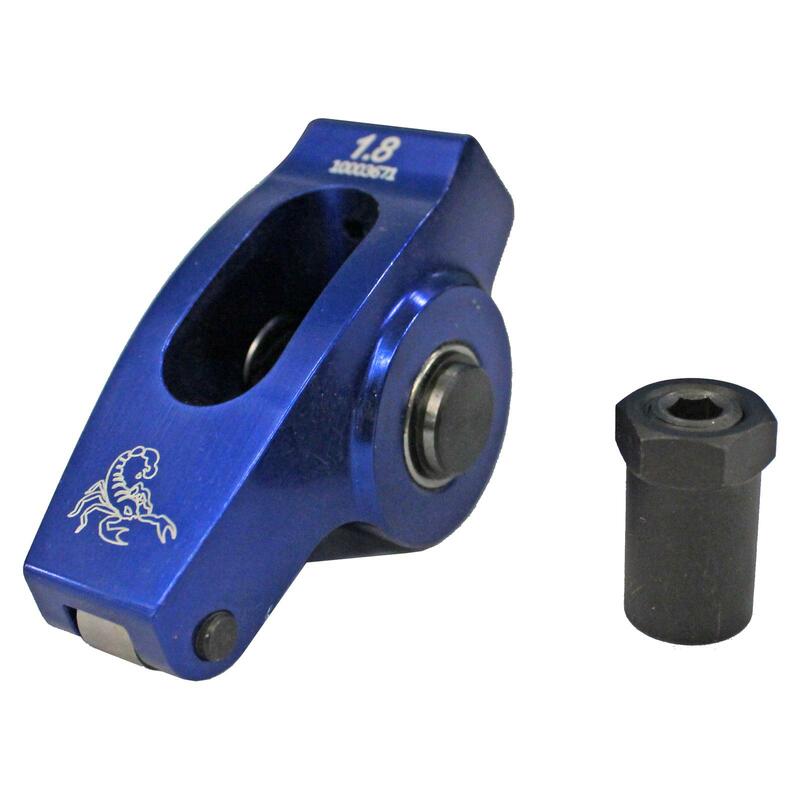 The stud mount Lunati is the most "bang for the buck" decent rocker arm out there; if you are looking for "Bolt Down" rockers then Harland Sharp is the way I would go. What cylinder head and valve springs? Given triple springs....I'd give the nod to 1830. They have steel construction and a huge dia. shaft ~ like the Crower units. @ $425 they certainly reasonable. Given triple springs....I'd give the nod the 1830. They have steel construction and a huge dia. shaft ~ like the Crower units. @ $425 they certainly reasonable. YEP ... I would use a good STEEL rocker arm if that was a choice. Most questions are ask out of context and answered out of context. Springs with 400 or 800# open pressure require different rockers. Wayne Pearce wrote: ...I've never used the Scorpions on any of my builds, but everything I've heard, or read says they're good rockers. I am of the opinion that they are a mediocre design, as they are bulky, heavy, manufactured of an inferior material (which is probably why the bodies are so big), etc. That said, they are budget priced and will open and close the valves on most flat tappet spring engines as well as other common stud rockers. I definitely would not recommend them on big-springed solid roller cam engines as I've seen too many of them fail. 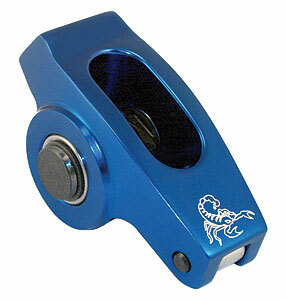 For stud mount rocker arms with high spring pressures nothing wrong with the Crower stainless rocker. I never had any trouble with the Crowers. They ran fine for years and years with a solid roller and several spring changes. Paul Kane wrote: I definitely would not recommend them on big-springed solid roller cam engines as I've seen too many of them fail. I'd much rather run Scorpion Rockers that are made here in the good Ol' US of A,.. with a LIFETIME WARRANTY,.......than TFS Rockers that are designed from an inferior cast material and built overseas. When I broke one of my TFS rockers,......I found 2 more with hairline cracks. No more Trick-Flow Rockers for me,....EVER. TFS or Scorpion rocker - why would anyone with a serious race engine choose a budget rocker arm? No way in hell would I be using any of the cheapo rockers suggested. Crower stainless or similar high quality rocker. 68galaxie wrote: TFS or Scorpion rocker - why would anyone with a serious race engine choose a budget rocker arm? The average guy that's on a budget,....and not an engine builder (per-say) would think that if you're running an "out of the box" set of TFS heads,....that a set of their Trick-Flow Rocker Arms would suffice. At least I did,..... OR,....use to. They are not cast, although I do see why you are asking relative to the load capacities up to which I will consider using them. In the case of the Scorpions it's about the actual rocker body material, not the process. 68galaxie wrote: For stud mount rocker arms with high spring pressures nothing wrong with the Crower stainless rocker. Both Crower's aluminum bodied rockers and their steel bodied rockers are of top quality and design. Sorry to say this, copperhead, but those particular broken "TFS" rocker arm pictures that you posted are really PRIVATE-LABELED SCORPION ROCKER ARMS that are sold as TFS rockers. And sure enough, they broke. Your broken "TFS" rocker is a Scorpion manufactured rocker arm. Right here in the "good Ol' US of A." And they broke. Do you see how much bigger your Scorpion labeled rocker arm is in your side-by-side pictures above? Now you know why they turned to making them bigger. But do you really want that greater mass moment of inertia working your valve springs? Bigger body carrying more heat? Etc? Of course not. You want as little mass as necessary to keep your valve train as stable and as happy as possible. Pictured below is a brokern Scorpion rocker arm just below your broken "TFS" rocker arm....look familiar? But don't worry, copperhead! Just like you said, Scorpion offers a "LIFETIME WARRANTY!" Which, in my opinion, only means this: Now that your engine is destroyed from a broken rocker arm, Scorpion's written policy is that they own you nothing but a single rocker arm. And your post is absolute proof of that. P.S. They are not "cast," they are extruded aluminum. Thanks for the info, Paul. I have had good luck with Scorpions on a couple of mild flat tappet cams, but my next one will be a roller. I'll keep this info in mind.